Economists are expecting that big falls in petrol prices, among other things, will see inflation pull back sharply on the throttle in the latest quarter. Consumers Price Index figures for the June quarter are set to be released by Statistics New Zealand on Tuesday (18th) and these will likely contrast with the stronger than anticipated rate of inflation seen in the March quarter. ANZ senior economist Phil Borkin says ANZ economists expect headline inflation of 0.2% in the June quarter, which would see the annual rate ease back to 1.9% in Q2, from Q1’s 2.2% y/y result. Borkin says ANZ retains its view that core inflation will lift slowly in future, with developments in the labour market (wages) key. In respect of the June quarter figures, Borkin says some of the typically volatile components will provide offsetting movements in the quarter. "Food prices will make another positive contribution (+0.1%pts) despite already recording the largest quarterly lift in 6½ years in Q1. Poor autumn weather has led to a spike in fruit and vegetable prices, which is looking unlikely to unwind until new season product hits the shelves in spring. "A drop in petrol prices will largely offset this (-0.1%pts). In fact, falling petrol looks set to drag heavily on Q3 figures as well, dragging annual inflation down to 1.8% (if not below) as the inflation boost from oil prices globally does a sharp U-turn." Borkin expects housing-related costs will again make a positive contribution (+0.8% q/q), "which has been almost an unfailing theme of late". "We expect the purchase of housing component to rise by 1.5% q/q, which is roughly the average of the preceding 12 months. We have pencilled in a 0.7% q/q lift in rents, although partial MBIE data does suggest some downside risk to that. Household energy costs are expected to have lifted 0.8% q/q." ASB's Tuffley and Mundy noted that their inflation forecast was slightly weaker than the RBNZ’s forecast published in the May Monetary Policy Statement. "However, the RBNZ’s May forecasts are unlikely to capture the recent fall in fuel prices." They predict key drivers of the Q2 result including: A 2.7% fall in petrol prices, an 8.2% rise in fruit and vegetable prices and a 0.6% rise in rents. They said while inflation is currently being buffeted by temporary factors, the RBNZ is more focussed on the underlying inflation trend. "Domestically, we expect inflation to remain soft outside of a few key sectors (notably accommodation, construction and, increasingly, rents) in Q2. GDP growth has been subdued recently and wage growth also remains soft. Although global economic conditions are improving, it appears that the inflation impetus of this improvement remains some way off. As a result, we expect the RBNZ to remain comfortable leaving the OCR on hold for some time yet." ANZ's Borkin says inflation signals remain mixed. "The economy is increasingly butting up against capacity pressures, construction cost inflation remains rampant, and firms’ pricing intentions are ticking higher. "However, recent oil price falls will likely see headline inflation fall back to the lower half of the RBNZ’s target band over the coming 12 months and that can alter inflation expectations. The recent spike in food prices should at least partly unwind at some stage, although the lift in New Zealand’s export commodity prices does mean it is not all one-way traffic. 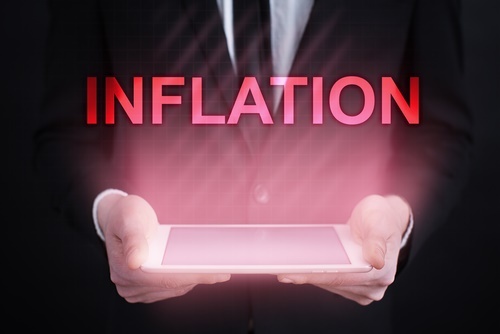 The deflationary impact of technology is ever present and there remain numerous questions over the global inflationary environment, with core inflation measures rolling over in some countries of late (but especially in the US)." Tuffley and Mundy say the RBNZ will largely "look through" fuel and food movements over the quarter, instead focussing on the trend in underlying inflation. "In our opinion, underlying inflation will remain subdued in Q2 and it is likely to be some time before underlying inflation picks up to a level consistent with the RBNZ raising interest rates. "While global conditions will slowly improve and lift imported inflation, we think domestic capacity pressures will eventually be a key source of inflationary pressure. Above-trend GDP growth will support employment growth, helping to ease the excess labour supply due to high levels of net migration and labour participation. This tightening in the labour market will lift wage growth and domestically-generated inflation." Borkin says it is developments in the labour market that leave ANZ's economists with the belief that domestic inflation pressures will broaden and rise in time. "While it has been MIA to date, we believe we are on the cusp of a lift in wage inflation as firms are forced to respond to skill shortages, cost of living pressures and government policy changes (around migration and gender pay equality). That should eventually warrant a shift in stance and ultimately the gradual removal of monetary policy stimulus." What evidence based correlation do rising and falling official O/N interest rates have with CPI inflation indices? None, I guess, given recent outcomes. Federal Reserve policy had been transformed from monetary policy as it was (at times) in the 1970’s and before to discretionary federal funds rate targets starting sometime in the 1980’s. This is not a difference that can be overstated. In other words, the Fed simply assumed that its policy changes were having monetary effects only by the eventual result on the rate of inflation: if money causes inflation, and inflation is at or near target, then monetary policy must have the “right” money. It didn’t know that was the case, but given the history of the CPI and then PCE Deflator it made the judgment of cause and effect without any evidence. Thus, when Milton Friedman wrote in August 2003 that Greenspan’s Fed hadn’t really achieved anything that other central banks around the world had, often using very different policy criteria, it struck at the heart of this monetary assumption (which is why the criticism coming from Friedman must have been especially painful for policymakers). What he meant was that Fed officials were assuming a correlation of what they did with inflation was more than that, when a global survey suggested it wasn’t. They were taking credit for something else. The Great “Moderation” wasn’t just a US phenomenon at all, and therefore given the monetary aspects of inflation it couldn’t have been due to Federal Reserve monetary policy. Policymakers were making assumptions that weren’t backed by evidence (the dot-com bust and recession very strong contemporary proof of monetary policy contributing very little in money). I guess Yellen will go the same way as Wheeler. Maybe the only thing the OCR affects is how much you can leverage the future earnings of the economy, and the ability to inflate assets at a rate faster than the economy grows. In the past high rates of inflation were a part of herd mentality. People had to spend their money as quickly as possible before it lost spending power. When people shop on aliexpress they feel like their money has a lot of spending power which is not being diminished. So, no justification for raising interest rates or the OCR? No justification for ever having an OCR - let the banks and their opposing agents determine the cost attached to forsaking consumption today to spend tomorrow. No justification for the OCR central planning mechanism. If it wasn't irrelevant long ago it's irrelevant now. Behaviour has changed with global trade and global finance. How would the OCR in one country affect any of these factors contributing to inflation? Well we are a reactive economy, always have been, except perhaps during the first half of the Lange government. NZ governments react, rather like flotsam & jetson, to what cards the big powers play or any sort of international crisis, eg if Qatar should get into actual conflict with its neighbours, there will certainly be no drop in our oil prices or anywhere else one imagines. So OCR or whatever, it's handy and self satisfactory to have a gear stick to shift around, even when the gearbox is stuffed, one supposes.